Diamond Country Value Adult Dog 50 Lb. 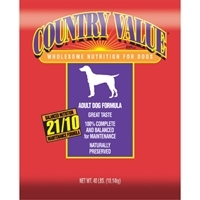 Country Value Wholesome Nutrition for Dogs is designed for non-working, yet active, adult dogs. 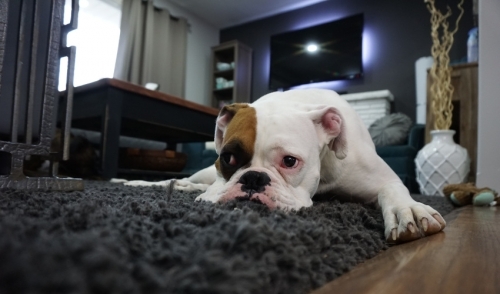 The Dog Formula is formulated with 21% protein and 10% fat to ensure adequate levels of muscle-building protein and necessary levels of energy without promoting obesity.PRODUCT RECALLED. 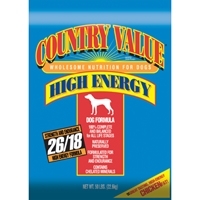 Diamond Country Value Hi-Energy Adult Dog 50 Lb. Diamond Country Value Adult Cat 20 Lb. 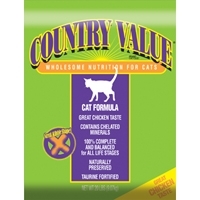 Country Value Wholesome Nutrition for Cats is formulated with increased levels of high quality protein, in a palatable formula even finicky cats will love. Country Value also includes added amounts of the essential amino acid-taurine, and is urine pH balanced and magnesium controlled. PRODUCT RECALLED.